Podcast (episode #7) —Cranbrook Real Estate Trends 2018: Now’s a great time to sell! 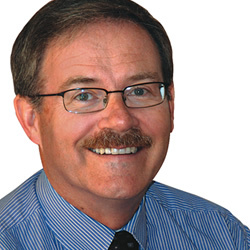 Jason Wheeldon, one of Cranbrook's leading realtors, provides insight into real estate trends in Cranbrook and area. #1 - The Cranbrook real estate market in 2017 was strong, and average prices in the market are up some 5%. A bit above the BC Assessment’s 3.35% increase for Cranbrook. 2016 sales stayed exactly the same as 2017, with 265 homes selling. #3 - There are currently just over 50 listings on the market. Inventory is very low, so NOW, in January or February, is a great time to beat the “spring and summer rush.” NOW is the time to get a jump on the market! #4 – With listing inventory low, it requires home buyers (especially first time home buyers) to be diligent in moving forward quickly on their desire properties. That where the expertise of experienced realtor can be invaluable. #5 - What is your #1 tip for someone planning to Buy or Sell their home in Cranbrook? Assembling a good team of professionals to help move your transaction forward, buying or selling real estate is the biggest and most complex transaction most people will ever undertake – make sure you consult with your real estate professional early. Includes working closely with your realtor to co-ordinate mortgage brokers, banks, legal conveyances and property inspections. Draw on the 24 years of experience of a professional like Jason Wheeldon. #6: Is Cranbrook a good place to buy real estate in? Yes, the Cranbrook market continues to be one of BC’s most incredibly affordable real estate markets and offers many amenities and lifestyle options for residents. Though, with low inventory this will undoubtedly push prices up somewhat in the future. 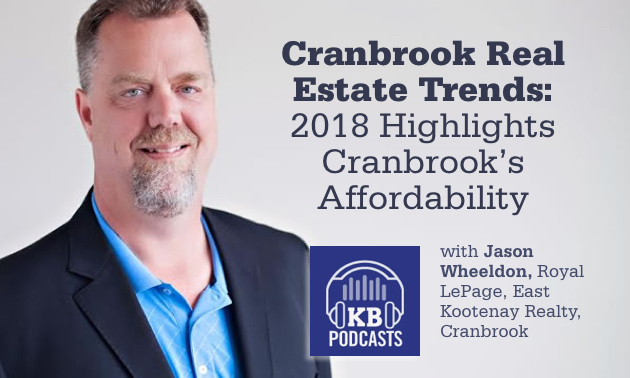 Thank you to Jason Wheeldon for sharing your insight—don't miss future episodes of the Cranbrook Real Estate Podcast. Jason Wheeldon is a realtor with Royal LePage East Kootenay Realty in Cranbrook with over 24 years of experience in the real estate market.